January | 2013 | Pray for Revival! Rick Warren: The More We Pray, the Better! Recently, I listened on the radio to Hank Hanegraaff, the Bible Answer Man. Is it Up to the Church Prayer Coordinator to Get the People in the Church to Come to Prayer Meeting? The prayer leader may encourage people to pray, make opportunities for them to pray, and educate them in how to pray, but ultimately it is the work of the Holy Spirit to draw people to the place of prayer (43). The people of Uganda call it Balokole. In the Luganda language it means “the saved ones,” but the word became synonymous with the East African Revival—one of the most significant Christian movements in modern history. I spent the past two weeks ministering in Uganda and Kenya, and everywhere I went I met people who still talk about the East African Revival—80 years after it began. 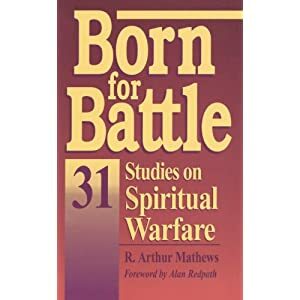 It breathed resurrection power into dead, traditional churches and triggered aggressive church-planting movements that affected a variety of denominations. We praise you and love you because there is no one like you! You are the creator and sustainer of all who live. Yet, as a church and as your people, we have forsaken your ways. We have not prayed as we should and we have not obeyed your Word. We have actually compromised your Holy standards. On this Lord’s Day, we ask in the name of Jesus, that you will wake up your church all across America. We have no idea what it truly means to follow and love you! Please come Holy Spirit Come! Do the Leaders of Your Church Understand the Importance of Prayer? For many churches, one of the biggest roadblocks to increased prayer is the indifference of–or even opposition from–its leaders (elders, deacons, board members). Many leaders simply do not recognize the importance of prayer to the life of a church. Brooklyn Tabernacle understands that godly leaders need to step out by faith in the direction that God lays out before then, and the people of God will follow–especially in the area of prayer. The local church will not become a house of prayer until its leaders become people of prayer. 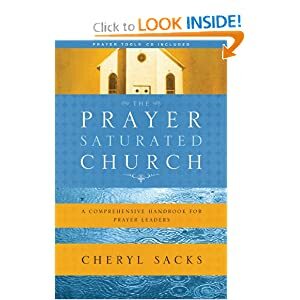 When prayer has its proper place in the life of the church leaders, it will move to a place of centrality in the rest of the church (My House Shall Be a House of Prayer, complied and Edited by Jonathan L Graf and Lani C, Hinkle, 32). The spiritual history of a mission or church is written in its prayer life! At Roe v. Wade’s 40th anniversary, it’s time for a reality check about how abortion harms babies and women. BreakPoint is next! Well, we hoped it would never come to this, but America is observing the 40th anniversary of Roe v. Wade, the landmark Supreme Court case that legalized the taking of innocent human life in the womb for any reason—or for no reason at all. The numbers related to abortion are almost anesthetizing to the conscience of America. Since 1973, more than 55 million unborn babies have had their lives snuffed out. These numbers are so mind-numbing that perhaps we in the pro-life movement may be forgiven if we occasionally forget what those numbers actually mean. That’s why we occasionally need a reality check—such as a brand new documentary called “3801 Lancaster.” It’s available for free online, come to BreakPoint.org, click on this commentary, and we’ll link you to it. The title refers to the address of an abortion clinic in West Philadelphia that is the site of a scandal so horrific that it’s almost impossible to describe without tears. The documentary, written and directed by David Altrogge, shows what happened at the so-called Women’s Medical Society over a period of twenty years. That clinic, run by a well-known doctor named Kermit Gosnell and situated in a rough neighborhood, catered to a mostly poor, minority clientele. The documentary shows how the facility, which looks run down on the outside, was a filthy house of horrors on the inside. Yes, Dr. Gosnell specialized in late-term abortions, but that’s a rather antiseptic description compared with the grisly reality. Walls and beds were stained with blood. Jars were filled with what are gingerly called “fetal remains”—arms, legs, you get the idea. It gets worse, and I hate to be so graphic. But Gosnell specialized in what he called “snipping”—which occurred when the baby Gosnell was trying to kill was nonetheless born alive. When that happened, the abortionist would “snip” the spine with a pair of scissors. Again, that sounds pretty clinical and straightforward, but the reality—again, that word—is far different. “Snipping” a spine is not like “snipping” a piece of paper. It takes time and hard work. And it’s obviously painful to the baby. Gosnell is now in jail and awaiting trial for seven such “snippings,” although one of his “colleagues” may have performed up to a hundred of them. How, you might well ask, did authorities allow this carnage to go on for so many years?